Are you into trading forex ranges? 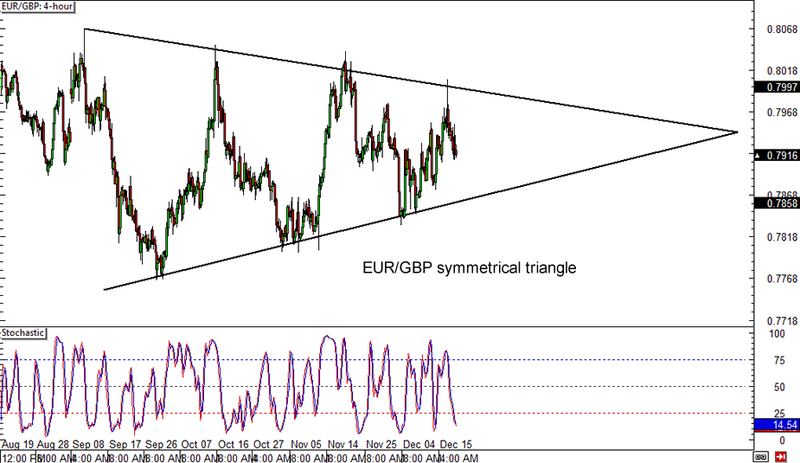 It looks like EUR/GBP could stay inside this consolidation pattern for quite some time, as price just recently bounced off the resistance of the symmetrical triangle on its 4-hour chart. The pair could be headed for support around the .7850 minor psychological mark while stochastic is also moving south. A bounce off the triangle bottom could lead to another test of resistance just below the .8000 handle, but a downside break is also possible if selling pressure is strong enough. If you’re a fan of Fibonacci like I am, you should definitely have a look at this break-and-retest setup on EUR/CAD’s 4-hour forex chart! 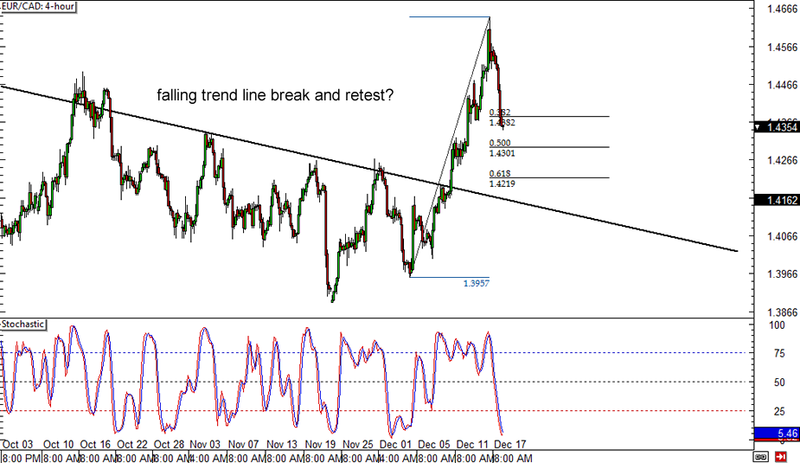 The pair recently broke above the falling trend line and zoomed up to a high of 1.4644 before showing signs of pulling back. Using the Fib tool on the latest swing low and high reveals that the 61.8% retracement level lines up with the broken trend line, which could hold as support from now on. Stochastic has already reached the oversold area though, indicating that the retracement might be shallow and that the 38.2%-50% Fib levels might act as a floor. Last but not least is an update on the AUD/JPY daily rising channel I showed y’all a few days back. As expected, price moved all the way down to test the channel support around the 96.50 minor psychological mark and may be due for a bounce soon. 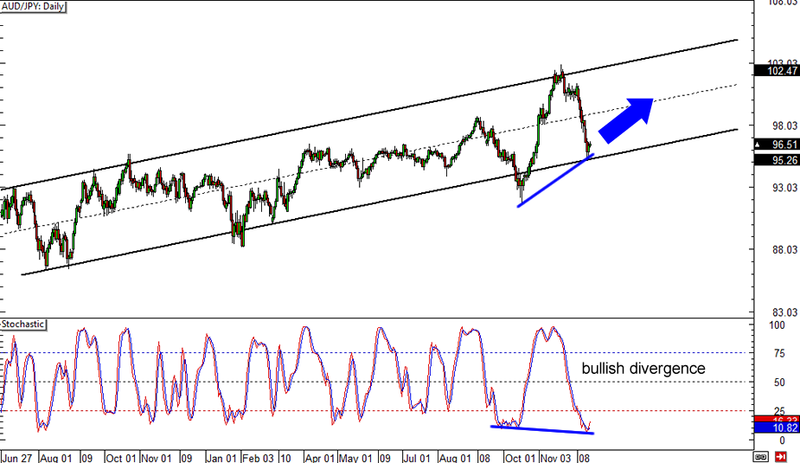 A bullish divergence can be seen, as stochastic made lower lows while the pair drew higher lows, although the oscillator has yet to move out of the oversold region. A bounce could take AUD/JPY back to the top of the channel near 103.00 or at least until the middle around the 100.00 major psychological mark. Make sure you set your stops right if you’re going long!